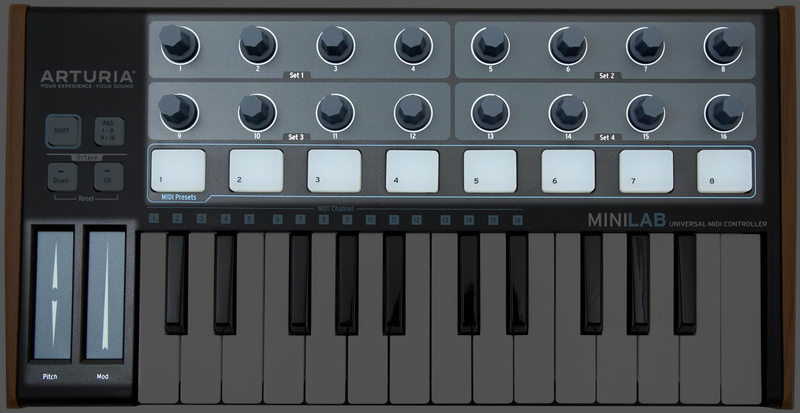 I've started integrating my Arturia Minilab to control various simulation parameters, inputs, and visualization options. Here is a quick video demonstrating the UI I've made that captures the midi signals for all of the knobs, pads, and sliders. Pads 1-4 select a different bank of knob settings, each with their own presets and color indicator. Values can be changed by both the controller and the on-screen UI. The keys work as well, but I'm focusing on these first as they will be the primary way of sculpting the behavior of the system. The keys will likely act as gates and triggers for adding new input (i.e. sound or image data).